A beautiful warm evening with not a breathe of wind spent watching the sunset over Coles Bay & The Hazards in Cape Freycinet National Park on Tasmania's east coast. Tasmania has such incredible and diverse landscapes, each as stunning as the last. 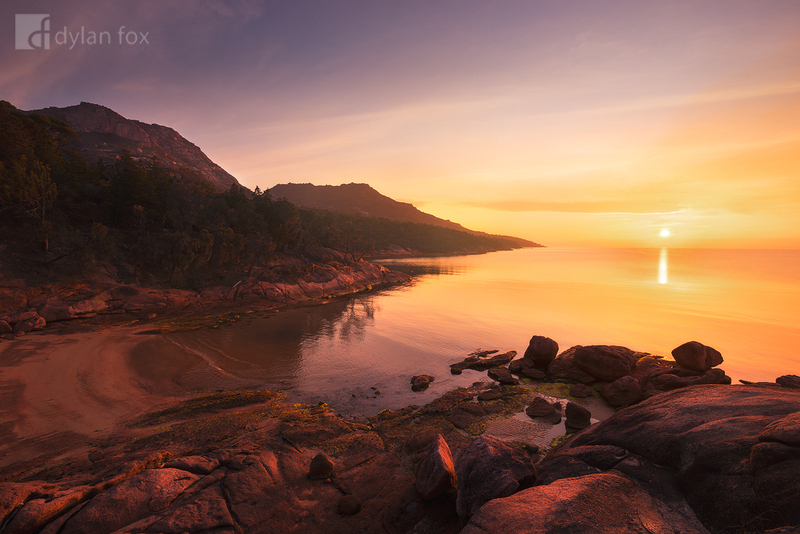 Secure your limited edition, Cape Freycinet print, 'Haze On The Hazards', by selecting your desired print size in the menu to the right.